Great Fiat Fiorino car Leasing & Contract Hire Deals. Our Fiat Fiorino Lease Deals. There are no trim levels as such with the Fiorino Combi but quite a few optional extras to mull over. Standard spec is quite basic but includes a nearside sliding side door, 15"" steel wheels, side windows for the second row with a hinged opening, PVC floor lining for the load area, carpet for the forward areas, power steering, a driver's airbag, three-point belts for all seats and a CD stereo. The options list has stuff like air-conditioning, a Bluetooth hands free phone system, remote central locking, an automatic gearbox, a second sliding side door and front fog lights on it. 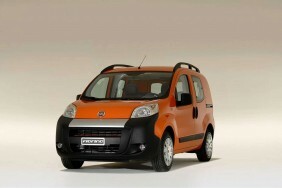 Fiat also offers the Fiorino in some particularly lurid paint colours for operators who like to make an impact.